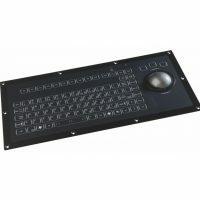 NSI presents their new compact, backlit rubber keyboard – The Model RKMB105. 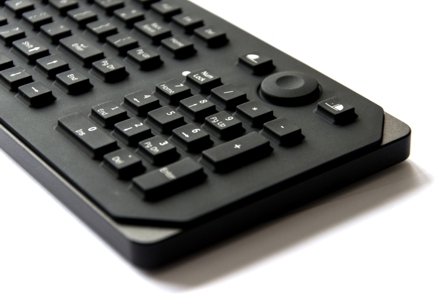 It comes with a full 105 key functionality and is integrated with a waterproof pointing device and separate numbpad. 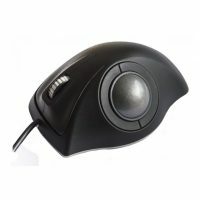 The compact design measures only 15 mm in thickness. The RKMB is environmentally sealed to IP65 specifications on the front face protecting the unit against dust and water. 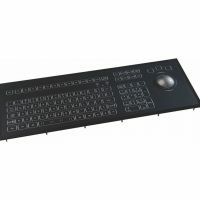 The keyboard comes with backlit keys for optimized performance while working in low-light environments. Options for non-backlit versions are available as well as vesa mounting options. The unit can also be customized to include NVIS compatible backlighting and custom dimming settings. The RKMB105 has a low power LED, allowing for a long life cycle.